A song, piece of music, sculpture or painting can really move me. I had just come from a successful meeting. The sun was out. And as I walked back I heard this beautiful tune being whistled behind me. I turned round to compliment the artist and as I did just that I saw this disheveled looking man – with messy beard and scruffy clothes – who clearly looked shocked, shocked by my words. He looked at me for a short while and after about twenty seconds he realized that I was being truthful and not trying to be funny with him. He smiled and as he passed me on his bike he shouted: “my whistle is not for sale!” To which I reacted: ” you’re dead right!”. It hadn’t affected my good mood. The meeting, the sun and the tune kept me smiling but for a split second I was sad, sad to realize that the man was surprised and shocked by my compliment. I was moved and that is what I believe art is meant to do. Whether it should meet specific criteria in order for anything to be classified as art – probably…But that doesn’t always matter, to me anyway. It shouldn’t change the emotion. The definition of art is controversial in contemporary philosophy. Whether art can be defined has also been a matter of controversy. In addition, the philosophical usefulness of a definition of art has been debated. 1. * The conscious use of the imagination in the production of objects intended to be contemplated or appreciated as beautiful, as in the arrangement of forms, sounds, or words. As you know by now art plays a huge part in my life and design. 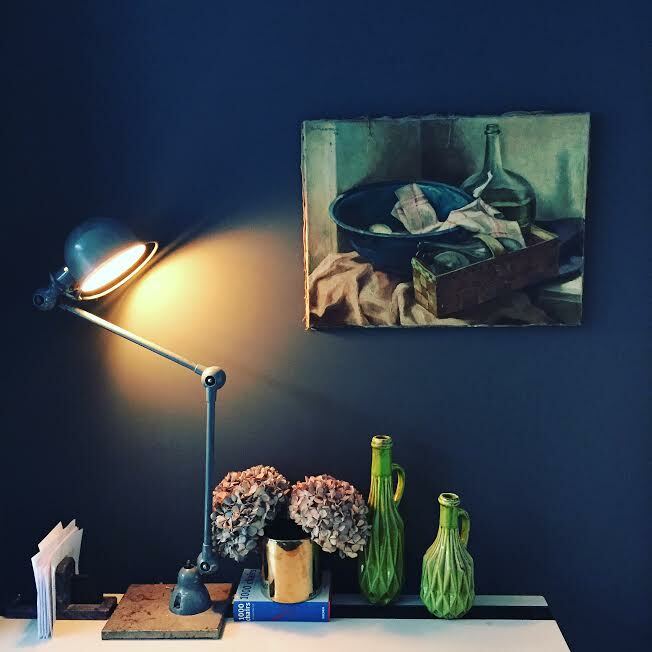 No interior without art – for me that is. 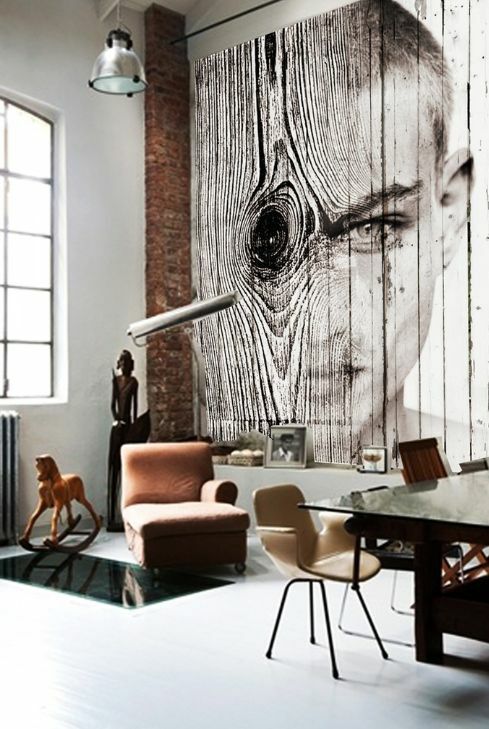 In interior design the main and common forms of art are probably – wall art, painting, photography, sculpture etc. For now I will restrict myself to displaying wall art: paintings and photography mainly. 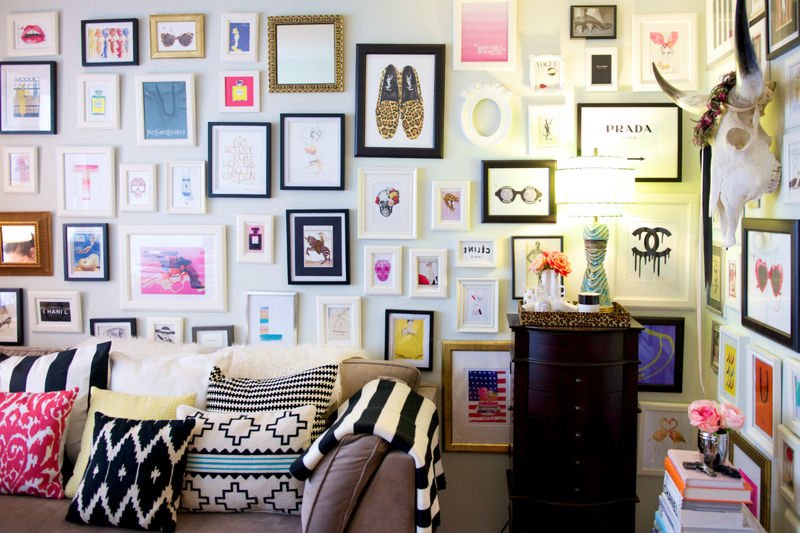 In my book, there are two main ways of displaying wall art. The artwork is smaller in size and can be complimented by other artwork without losing it’s meaning or reason for existence. In this case the artwork should be randomly hung together without too much orchestrated structure. Before I show you some examples of my favourite art types and way of display, I just wanted to make the point that I am not going to suggest any artists for you to go search and potentially purchase something from. 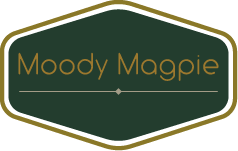 I would encourage you to have a look at my Art – shop but only because I love it so much. 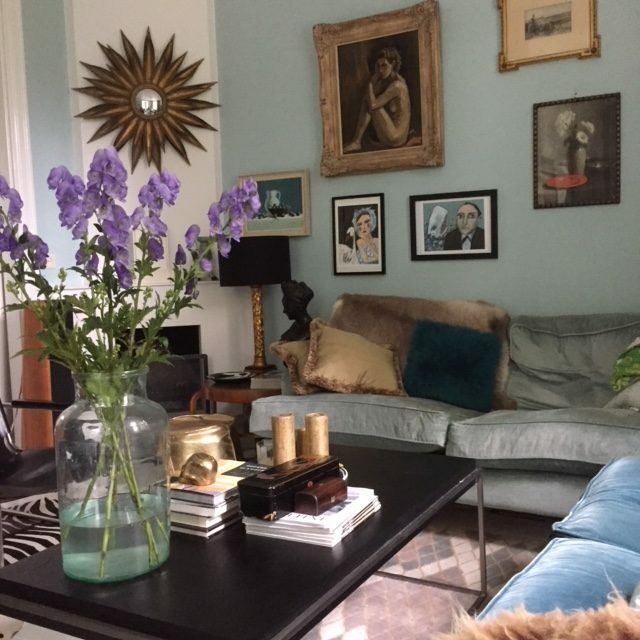 However art is so so personal and no matter what style you might favour, be it; eclectic, bohemian, classic, Hollywood Regency, Glam etc etc art will work in every style but only if you love it. No rules – OK just one: if you have to think too long about whether you really like it then move on. You don’t love it enough. 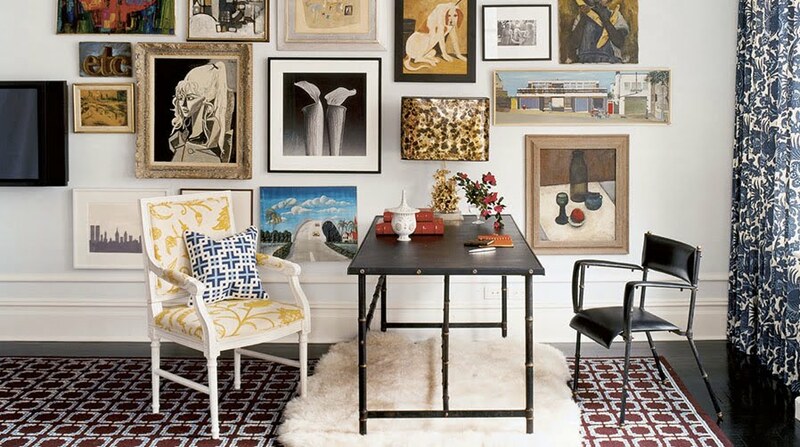 Gallery walls – my all time favourite – cheap cuttings mixed with more obvious art work. More serious but playfully displayed. 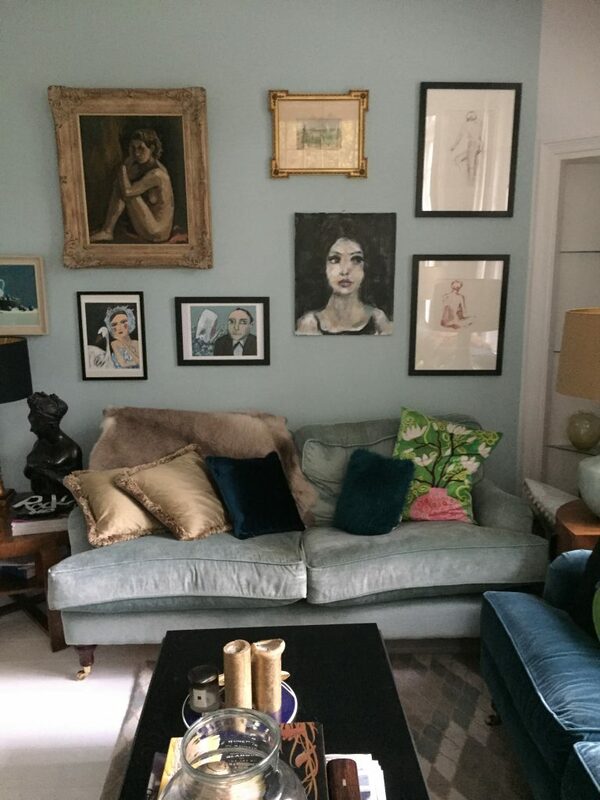 And some of my own gallery wall photos – cheaper drawings mixed with antiques frames. Old paintings with contemporary. Established artists next to small undiscovered artwork. Prints together with the real deal! If you like it, then go for it.